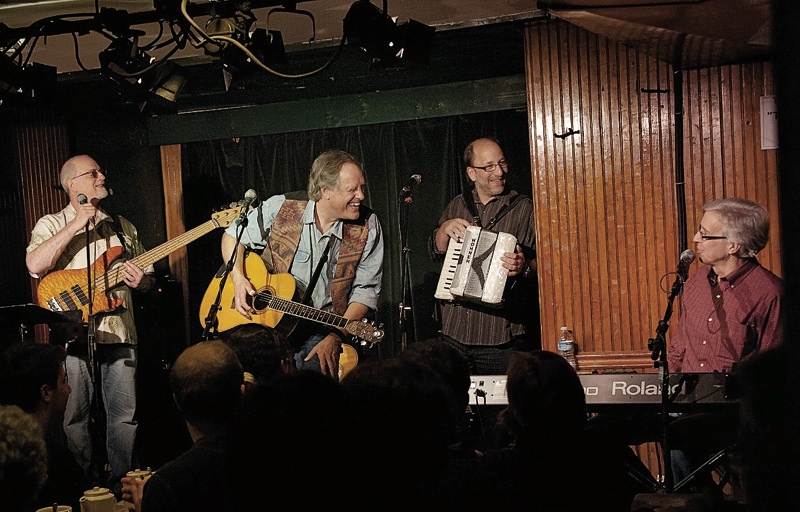 A new CD of "op-ed pieces with key signatures"
John Forster (at keyboard, right) with Tom Chapin (center) and his band, playing at the Turning Point in Piermont, New York. 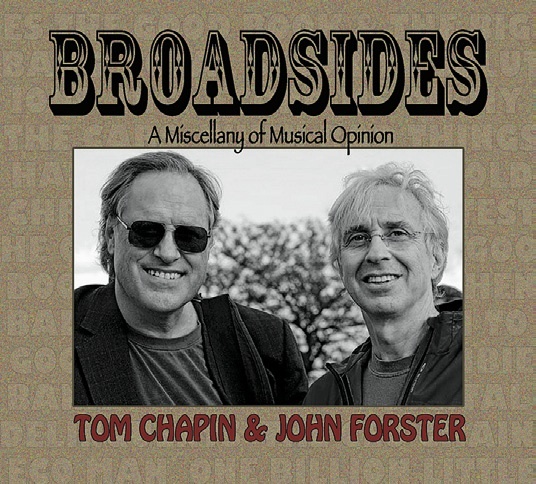 "When Bad Things Happen to Good Mice"
The album began in 1999, when National Public Radio (NPR) invited Forster, an accomplished songwriter and shrewd satirist, and Chapin, a singer known for his music for kids, to submit songs to accompany segments of NPR’s “Morning Edition” news program. The radio network laid down two strict guidelines: the songs couldn’t be partisan or one-sided, and there had to be a news hook. (The latter was a given, but to a satirist, the former is a tight rein indeed.) “After we wrote the first few songs,” Forster says, “we realized that the invitation provided us an opportunity to create a very rare kind of album, one composed entirely of topical songs.” They went on to write dozens, 14 of which are on Broadsides.